The great-grandson of the former Italian fascist dictator Benito Mussolini is to run in the EU elections for a small far-right party, he announced on Tuesday in an Italian newspaper. Caio Giulio Cesare Mussolini said in an interview with Il Messaggero that he is running for the far-right Brothers of Italy party. Born in Argentina, the 50-year-old is a former submarine officer who now runs his own business from the United Arab Emirates and said that although he hasn't got any political experience, he "breathed politics" his entire life. 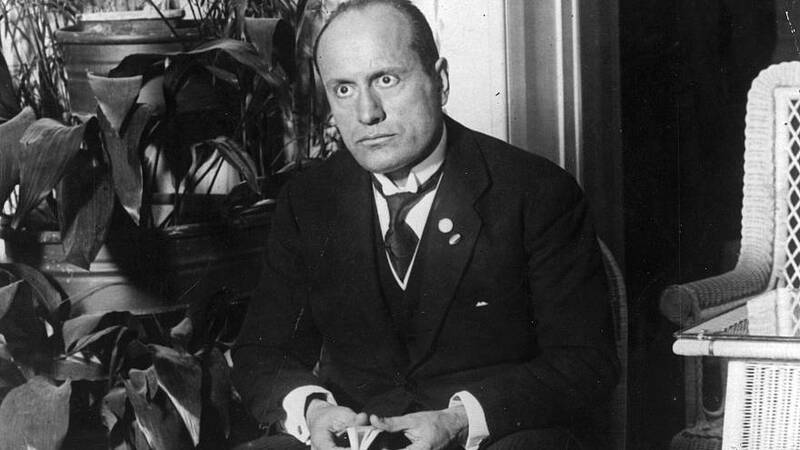 "So many people want to put Mussolini on the ballot," he told Il Messaggero. He argued however that he was not chosen for his last name, but rather for his first name which is the Italian form of "Gaius Julius Caesar" — a Roman dictator. He added that if elected he would "defend the national interest with all my actions and votes." He described himself to Il Fatto Quotidiano as a "post-fascist who refers to those values in a non-ideological way." Brothers of Italy won just 3.6% of the Italian votes in the 2014 EU elections, lower than the 4% required to have an MEP. It also won 4.36% in last year's general election. If elected he will follow in the footsteps of Alessandra Mussolini, a grand-daughter of Mussolini, who has been an MEP since 2014. Another of Mussolini's grand-daughter, Rachele Mussolini, is a city councillor in Rome.